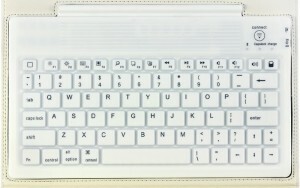 A stylishly made leather case that protects your precious iPad and provides you with a removable Bluetooth keyboard for easy typing. 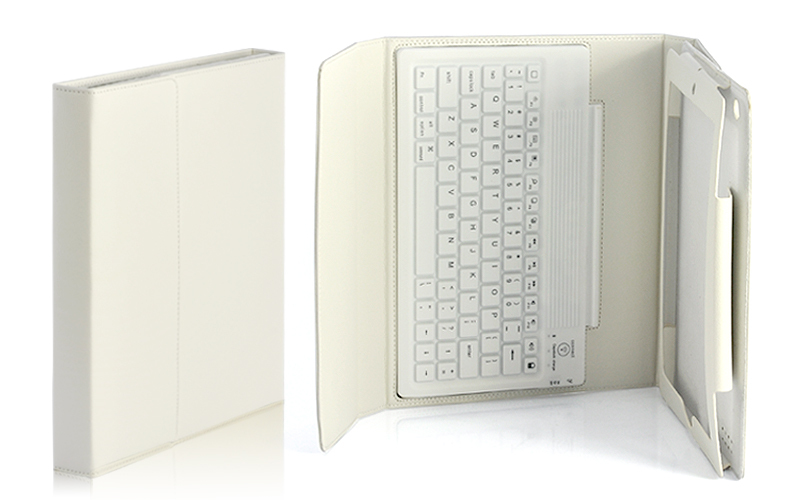 This iPad case comes with a keyboard made from polycarbonate composite to offer you better tactile key response and maximum typing comfort. 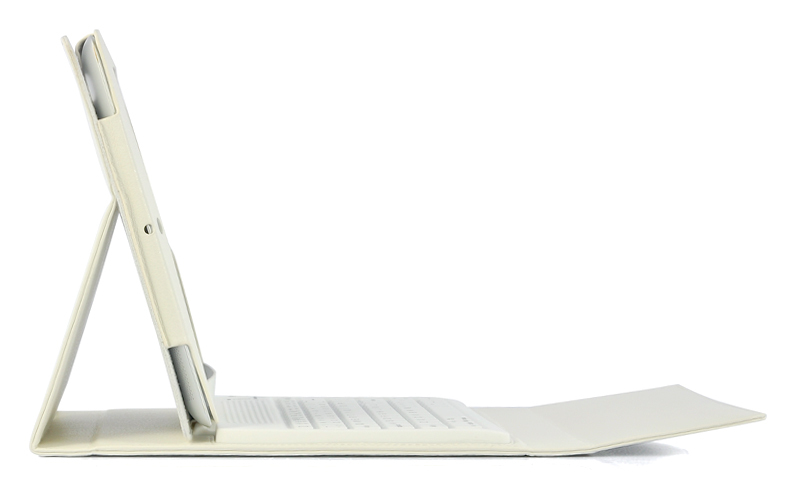 It’s completely wireless and removable. 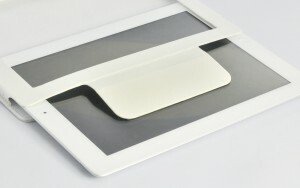 The reliable and responsive Bluetooth connection enables it to work up to 30 feet away from your iPad, giving you great flexibility for controlling the device. Additionally the thirteen built-in function keys give you one-touch access to all iPad controls, buttons and ports. 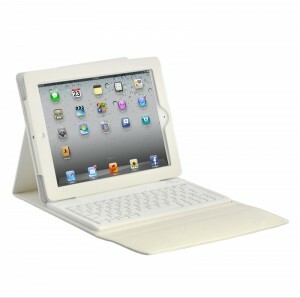 The low-profile leather case with its simplistic design compliments the quality of your iPad. 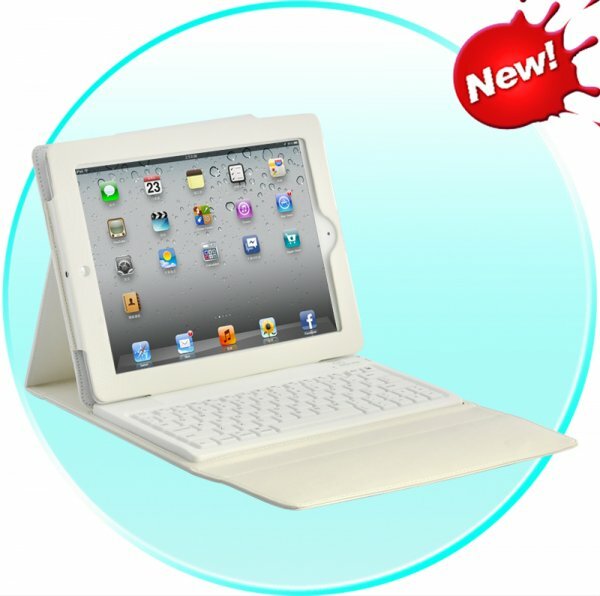 Simply slide your iPad into the case, turn on the wireless keyboard, sync your iPad with the Bluetooth keyboard, the whole package will look and work just like a notebook! 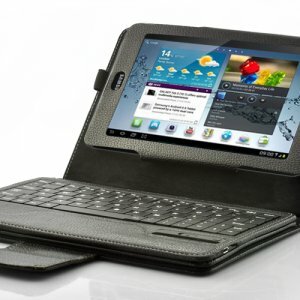 The Kensington KeyFolio Bluetooth keyboard case is easy to set-up with tactile rubberized and spill-proof keys. 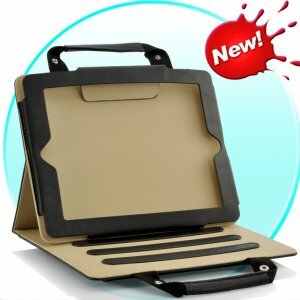 The durable case protects the edges of your iPad from wear and scratches and includes a camera opening for FaceTime use. An adjustable stand offers multiple positions for viewing in landscape mode and the compact, lightweight design is optimized for travel. Kensington’s KeyFolio ensures that protection and productivity is added to your iPad. 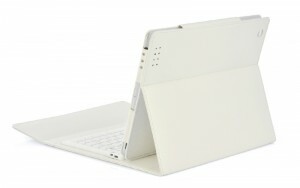 The durable synthetic leather cover with subtle embossed Kensington logo and white stitching detail protects your iPad whilst being professional and stylish. 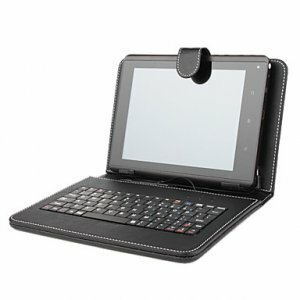 It provides easy port access to all iPad controls and 30-pin connector so you can charge, sync and FaceTime whilst your Keyfolio is still on your iPad. The adjustable stand securely holds your iPad in landscape mode so you can FaceTime hands-free. 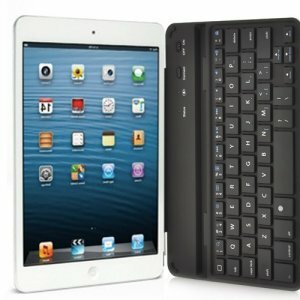 The keyboard features integrated rechargeable 430mAh battery to power Bluetooth 2.0 connectivity without draining your iPad’s power. 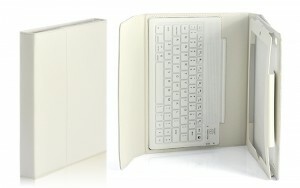 The bluetooth 2.0 keyboard with iPad specific-keys delivers a wireless operation and is flexible and easy to set-up. 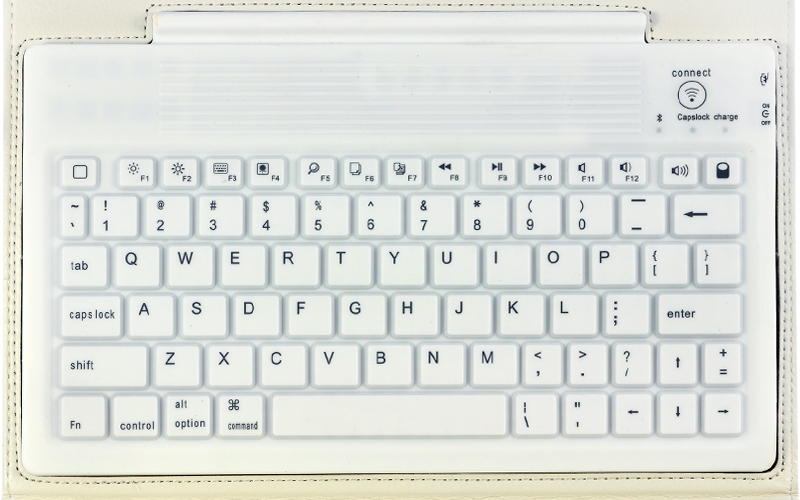 The keyboard charges within 4.5 hours from mini USB to provide provides 90 hours working time and 100 days standby time so you won’t be forever having to charge your accessory.The KeyFolio keyboard has 76 UK English keys integrated which includes € and £ keys. 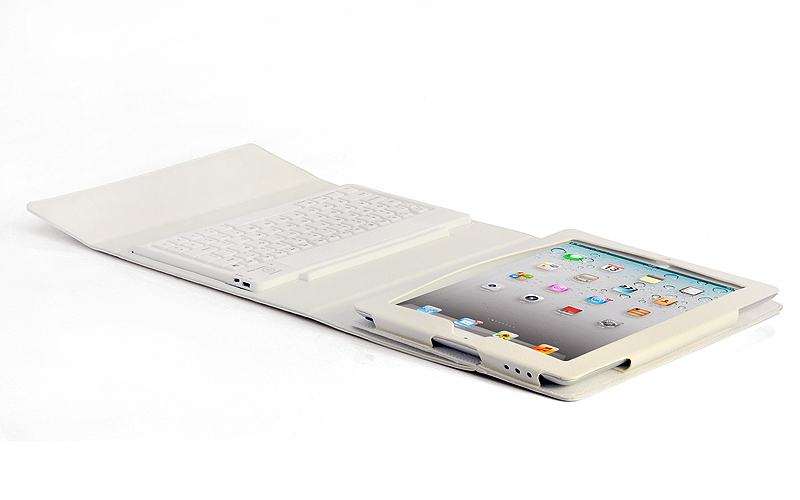 The KeyFolio is compatible with iPad 2, iPad 3 and iPad 4th generation.